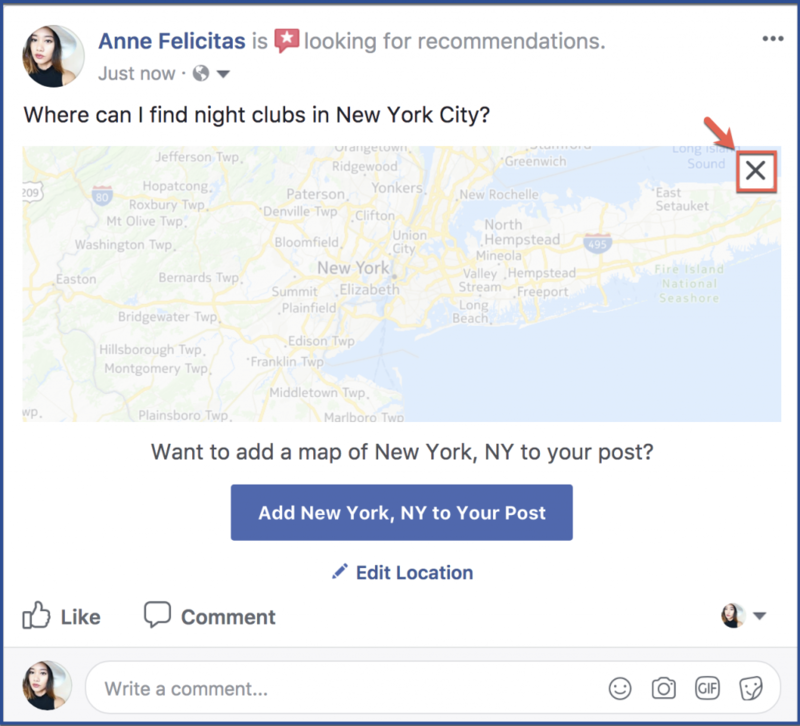 Facebook recently announced the release of a new feature that allows friends’ recommendations to directly lead customers to businesses. 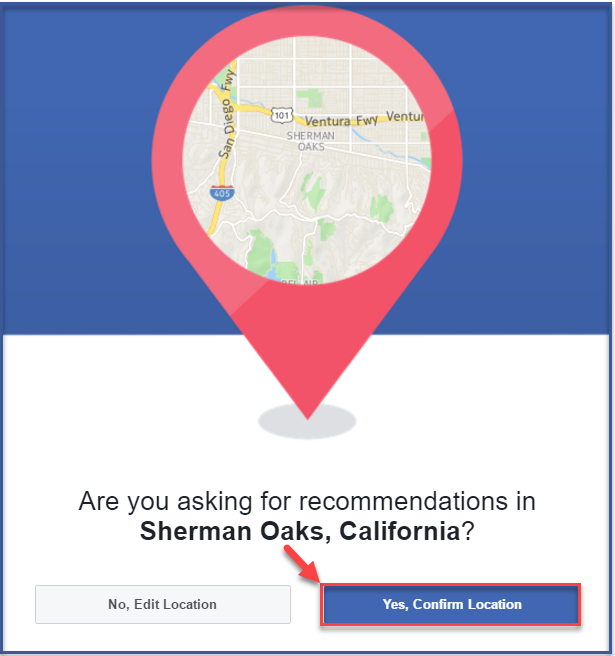 When you post a status requesting recommendation for new restaurants, for example, that person can choose to turn on Recommendations, which tracks your location and includes a map of your location on the post. 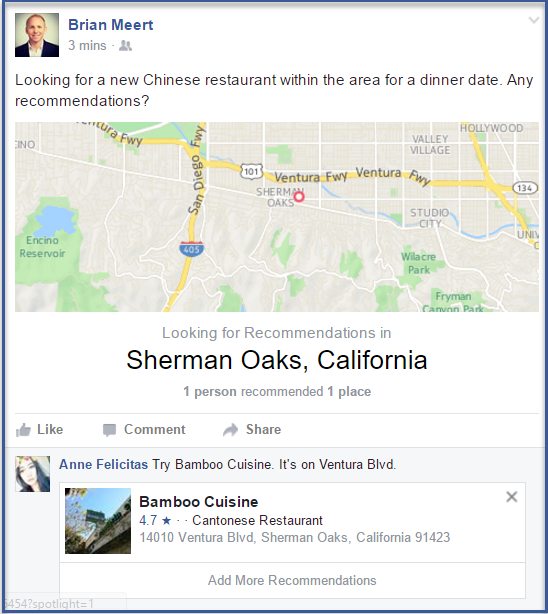 When friends respond with recommendations, the recommended business will appear on the post’s map. 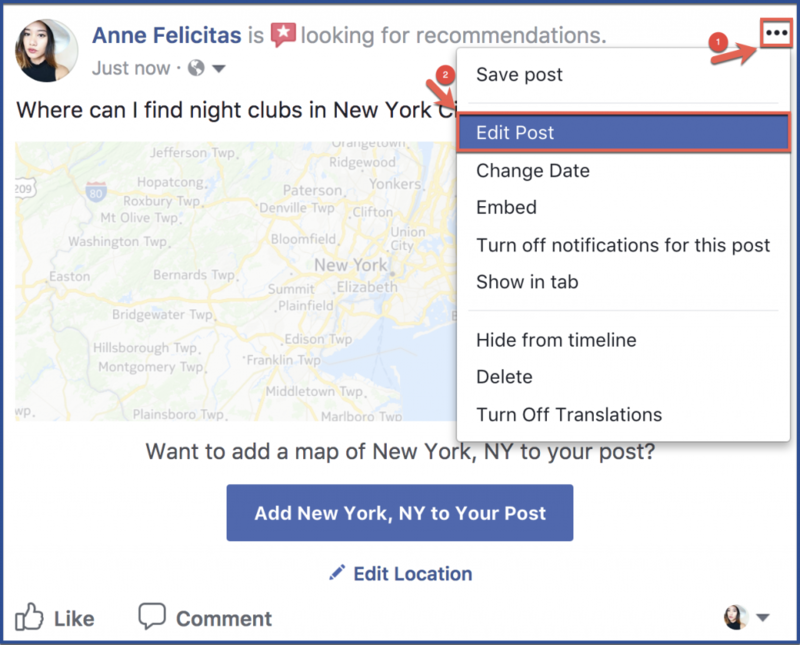 If you want to learn how to enable the Recommendations feature, follow the steps below. You’re done! 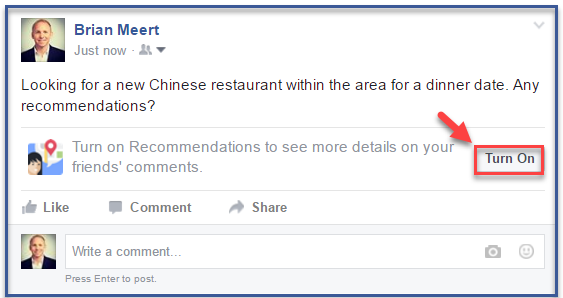 Recommendations should appear with links and additional information to the recommended business. 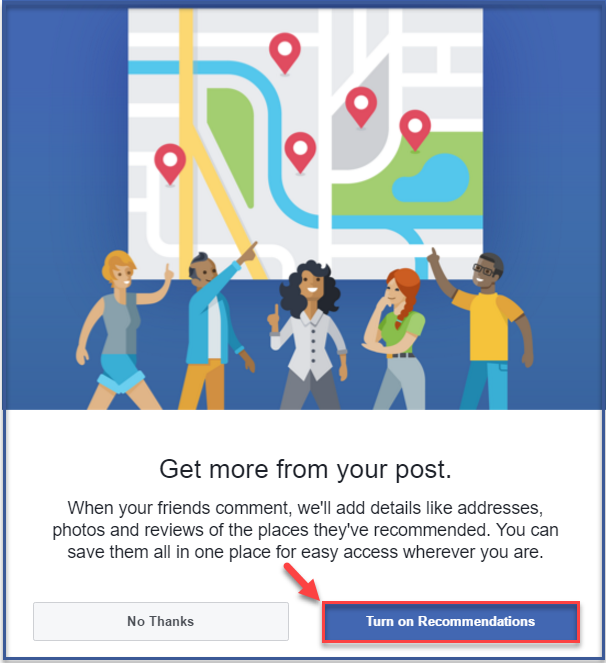 Edit: After this article was posted, readers asked for ways to disable the recommendations feature. Unfortunately, users can’t disable the feature. 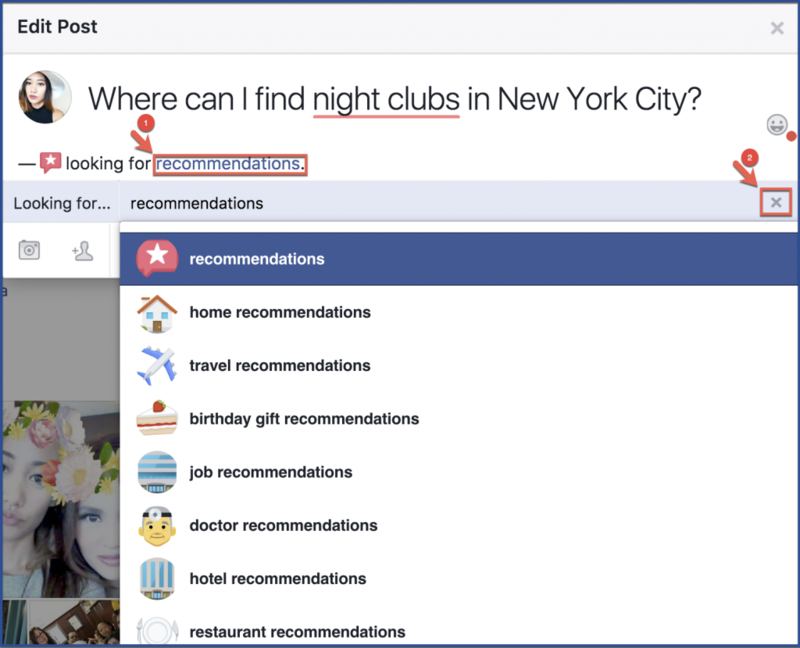 They can, however, delete the “asking for recommendations” status from their post. Here’s how to do it. Did you find this article helpful and informative? Leave your thoughts below on the comment’s section or share to friends. 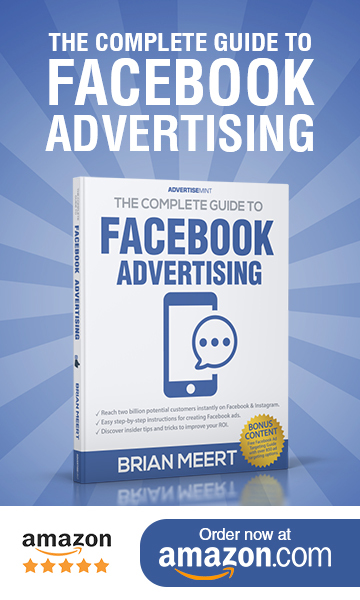 To find more information about advertising on social media, check out our Facebook advertising agency, Instagram advertising agency, and Snapchat advertising agency services.